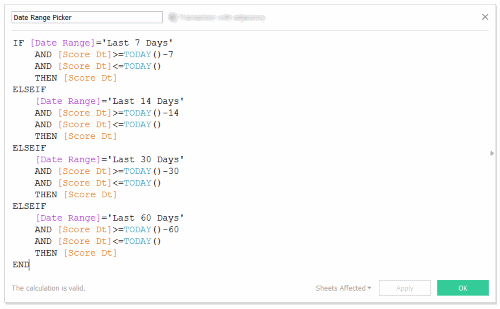 Looking for a way to add custom date ranges to your worksheet or dashboard? For requirements like “Last 7 Days”, “Previous 30 Days”, and “Last 60 Days” this is your ticket. (With some modifications “Last Quarter” and “Prior Year” are also possible). As a Tableau amateur I was having a tough time wrapping my head around this one. 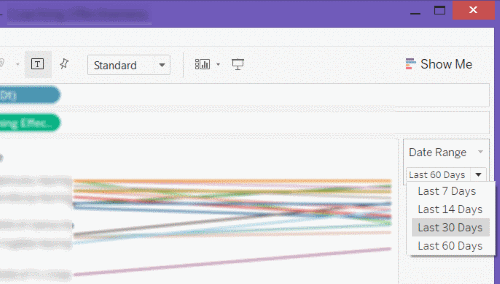 A little Google-Fu brought me to the post “Custom date ranges using Parameter Controls” which had just enough information to get me started. 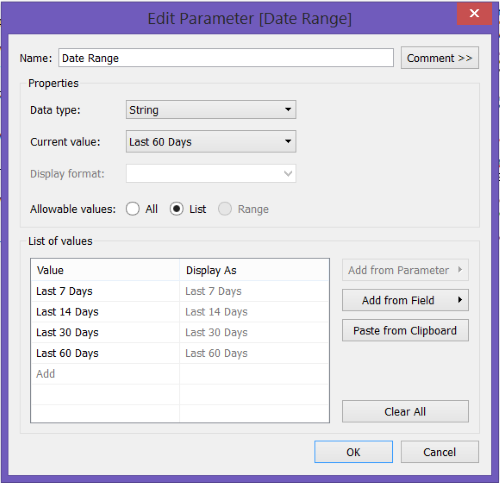 Right click on the “Date Range” parameter and select “Show Parameter Control”. 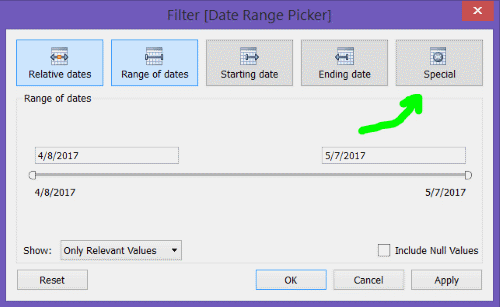 Create a new calculated field and name it “Date Range Picker”. Replace [Score Dt] with the date dimension from your data source. 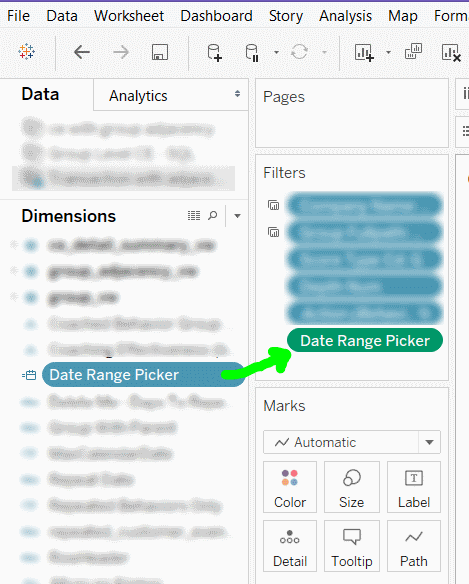 Drag the calculated field “Date Range Picker” into your Filters. 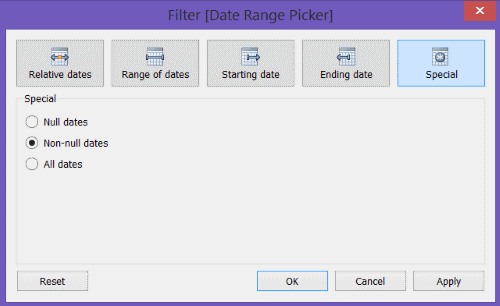 The Filter Field dialog box will appear. 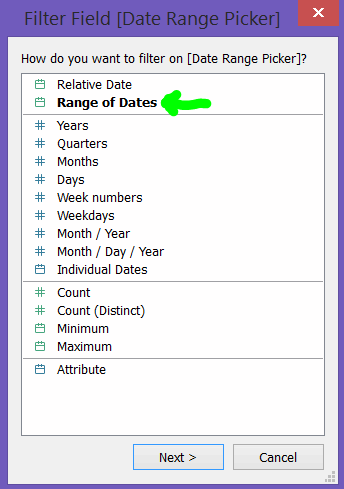 Select “Range of Dates”. Select “Special” from the Filter dialog box. That’s it! You’re a hero! 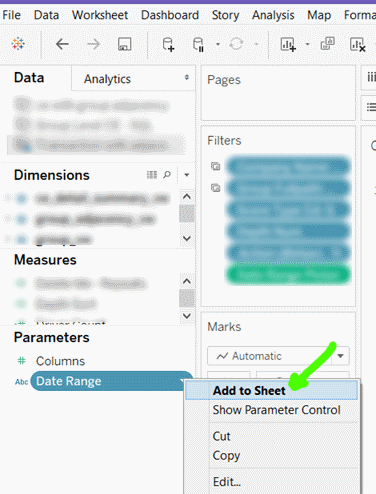 ← Tableau – Where is the path to my extract!? !